SOUTHINGTON - A New Britain man was arrested Wednesday for allegedly forging a prescription for a potent cough medicine that is commonly mixed with a soft drink and consumed as a recreational drug. 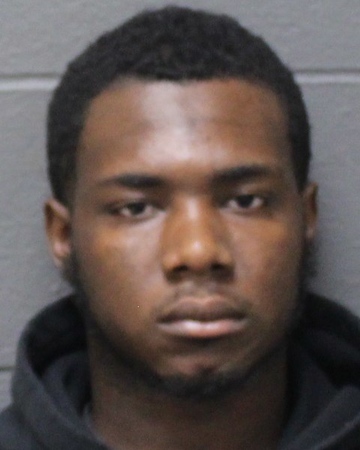 Jeffrey Kissi, 21, allegedly picked up a prescription for promethazine with codeine Wednesday at the pharmacy in Price Chopper, at 410 Queen St., according to the arrest warrant. He told the pharmacist he was picking up the prescription for a relative after the pharmacy had been faxed the prescription. According to the document, Kissi told police during the investigation that he had been walking into Price Chopper when he came across a homeless man who asked if he could pick up his prescription. He said he agreed. Police, after telling Kissi they did not believe that version of events, were then told that he had received a phone call from a man he hasn’t seen since the two were in middle school together. Kissi told police he agreed to pick up the man’s prescription. Police said they did not believe that story either. Kissi faces charges of second-degree forgery, conspiracy to commit second-degree forgery, illegally obtaining drugs, conspiracy to illegally obtain drugs, possession of a controlled substance and conspiracy to commit possession of a controlled substance. He was freed on a promise to appear following his arraignment Thursday, in Bristol Superior Court. He is due back in court on Nov. 16. Posted in New Britain Herald, New Britain, Southington Herald on Sunday, 21 October 2018 20:43. Updated: Sunday, 21 October 2018 20:46.